In early 2000, the custody case surrounding Cuban child Elian Gonzalez dominated the American news cycle. Combining U.S.-Cuba immigration policies, custody issues and the 2000 American presidential campaign, the case of Elian Gonzalez became highly publicized and politicized. At that time, Lino Gutierrez was serving as Principal Deputy Secretary for Western Hemisphere Affairs, where he served from 1999-2001. Sally Cowal was working at Youth for Understanding, an organization that offered student exchange programs to build intercultural understanding. During the Elian Gonzalez affair, she was responsible for protecting Elian and his family as his legal status was sorted out. Charles Stuart Kennedy interviewed Sally Cowal in August 2001 and David Greenlee interviewed Lino Gutierrez in July 2007. Explore more about Cuba and consular cases with these links and read here about the Mariel boatlift. COWAL: I think we found ourselves in the middle of an interesting moment in U.S. history, and also a circus, in this event of Elian. He had been picked up at sea, in a remarkable rescue, which seemed to many of the Cuban-Americans living in Miami as almost a religious experience. They tried to put that spin on the whole thing, most of them strong Catholics as well as strong patriots. They wanted to see the modern Elian as sort of a parable for the Christ story. He had been out there at sea, by himself, for three days and three nights when suddenly he was discovered, and everyone around him had already died, including his mother. I don’t think, since the principals in this are already dead – the truth will ever be known. 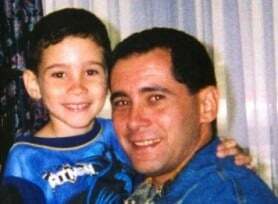 They certainly believed that his mother was deliberately taking him to win freedom for herself and for her child, and that Elian’s father, Juan Miguel (seen left), knew this and approved of it. This he certainly then disputed, and the truth about Elizabeth Brotons, who was his mother, is somewhat unclear to me. It would appear that she left Cuba more for personal reasons of having taken up with a man who had moved to the United States and then come back, than for real ideological reasons. I’m sure that many people who leave Cuba do so for ideological reasons as well as for personal reasons. I think that’s also true about immigrants coming to the United States from many other countries. It’s primarily driven by poverty and restrictions on their own liberty, whether that’s imposed by the government or something imposed by the poverty in which they lived. We see millions of people arriving here both legally and illegally, from all over Central America and the Caribbean. 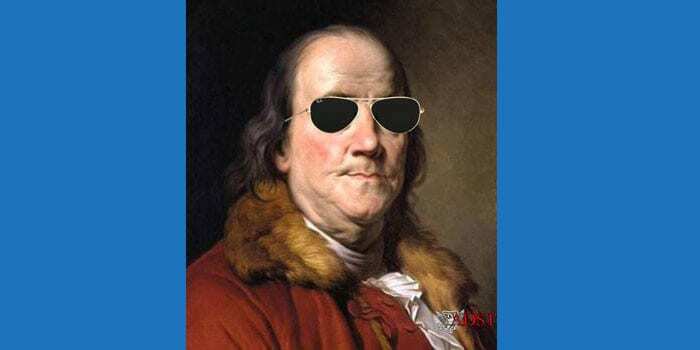 We have enacted many strange and sui generis laws in the United States with respect to Cuba. There is this ordered migration of 20,000 a year based on a lottery system in Cuba, much over-subscribed, obviously. Unlike our policy with other countries, an illegal Cuban immigrant seeking to stay in the United States has only to get his or her foot on dry land. So it’s called the “wet foot, dry foot” policy. If you are found at sea, then you can be repatriated to Cuba, and that is now being done more routinely than in the past. But if you should happen to evade the Coast Guard or anybody else who is out there protecting the shores of the United States and you manage to get your inner tube or your raft or your piece of wood or your little motor craft or your airplane to land on Key West, or any other place of U.S. soil, you are immediately paroled into the United States. You avoid being confined in the detention center, which is what happens, for instance, to Haitian immigrants who are similarly motivated and almost as convenient geographically as the Cubans, to be able to take unseaworthy craft and try to come to the United States. A Haitian who gets his foot on the soil of Key West is immediately – and this applies for refugee status – put into a detention center. Then the refugee status is adjudicated, which usually takes about 18 months. With Haiti’s rise and fall in political stability and political freedoms that somewhat varies with the times, but I would say most of those claims are unsuccessful. People are found not to be fleeing a well-founded fear of persecution, which is the reason for which you can legitimately claim asylum, but they’re found to be people who are fleeing poor and desperate circumstances in Haiti, of which there are obviously many. The contrast between that and our policy on Cuba is simply one of the anomalies that exists….It’s one of those anomalies in U.S. policy that I think is not particularly a healthy one. He [Elian] never, himself, in this inner-tube, reached the United States. He was rescued by a fisherman, I believe, who brought him to the United States. He was, of course, a minor child. That is what the whole, essentially, crisis was about: who had the right to determine for a minor child whether he should stay in the United States or should go back to Cuba. His father, who was living in Cuba, made it clear from the beginning that he had no intention of leaving Cuba, and that he was the sole remaining legal guardian of this child, and requested that he be sent back. I think it would have been smarter for the Clinton administration to have put him on the first plane and sent back to Cuba. Instead, we allowed the whole thing to be thrown into a long and protracted court adjudication causing passions to rise on both sides of the Straits of Florida. These passions were very cleverly manipulated by Castro, who was in many ways running out of steam. He was able to use Elian as a rallying point. No one, any even semi-patriotic or loyal citizen of a country, wants to believe that another country feels its very way of life and system of government are so evil that a child brought up there could not possibly have a normal life or turn out to be a well-balanced human being. So by the very delay in the thing and the fact that it was also leading up to the presidential election time, it became symbolic of the struggle over U.S. policy toward Cuba, which had been going on for the last 40 years. 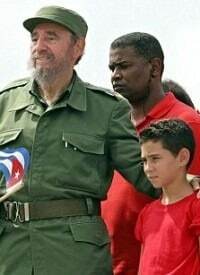 Elian Gonzalez was a little Cuban boy who had been taken by his mother on a small craft to leave Cuba, to go to Miami, in November of 2000, when he was about six years old. The boat capsized and Elian’s mother drowned but Elian and a couple of other people survived. They were rescued by the Coast Guard and were brought to Miami. Then his relatives, his father’s uncle in Miami, thought that he should not be repatriated to Cuba, where his father, of course, wanted to have him back. They said Cuba was not a free country and he would grow up free in the United States. They said he would grow up as a little Communist puppet of Fidel Castro if he went back to Cuba. So they launched a large battle about the future of Elian Gonzalez, which eventually went all the way to the Supreme Court. But at one point it was decided that he should no longer stay with his Miami family, which refused to give him up. There was a raid by the immigration authorities to capture this child from the family against their will (Photo: Alan Diaz, AFP, Getty Images), making it an enormously prominent case in the United States and abroad. 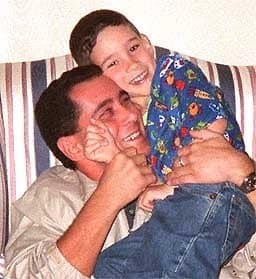 The Cubans had retained Greg Craig as the attorney for the father, to argue his case before the Court, and it became obvious that the child was going to be, one way or another, taken from the Miami family and put back with his father. The father agreed to stay in the United States until the issues had worked themselves through the Court. They needed a place for this family, this child and this family, to stay. The Cubans insisted that Elian should be back in the Cuban school system as soon as possible. They would send his first grade class, or parts of it, to be with him. Suddenly it was not just Elian and his father, and his stepmother, but Elian, his father, his stepmother, seven of his first grade classmates, the schoolteacher, the psychologist, I believe, and the parents of these children. The United States said, “Well, it’s not Fidel’s little finca (farm); he can’t just send off children who are age six. If the children are going to travel they’d better come with a parent.” So each child came with a parent. So when Greg called me that day, he said, “We really need a place for this to happen, and would the farmhouse be available?” and I saw it as a way to really get some attention, not only to Elian, who had all the attention, but to deeper understanding of family issues and international issues and children as peacemakers and how would we see this play itself out. So I, that Sunday afternoon, got my board on the phone, or at least my executive committee of six or eight people and said, “Well, we’ve been approached to do this. Now we approach three thousand American families every year and say, ‘Will you take kids from abroad? Will you play a role in something larger than yourself, will you have a teenager from Ecuador or Germany or Russia come and live with you?’ We’re now being asked to take a child from Cuba, a country with which we don’t have a good relationship, into our organization’s home. How can we say no?” The board said, “OK, go for it,” and that’s how my phase with Cuba began. Cuba agreed to allow the U.S. courts to adjudicate the case, but requested that father and son be together while this process played out. We immediately had not only the little extended family; we had a lot of news people who were interested in what was going on behind these wooden fences. We had 54, I think, U.S. Marshals around the clock, who were sent there in order to protect the family, particularly the father. There had been some credible intelligence that some of the more radical people in Miami would find it very convenient if the father were no longer in the picture. In other words, if he were assassinated, then, once again, to whom does this child belong? It would become a real question. And by the way, I think initially when Juan Miguel received the call from the authorities in Miami that his son had been found and was all right and was alive, but was in the hospital for observation, he asked that his uncle be called. There had been relations between these families. This is a civil war which has been going on for 40 years and personal relationships remain strong between people who have immigrated and people who have stayed. So his first t hought was to call his uncle and ask his uncle to go and receive Elian from the hospital, and they would talk later and sort out how he would come home, and so on. I don’t know, never having met the uncle, whether the uncle went and picked him up always with the idea that they would petition for him to stay or whether there was a subsequent – you might call it – manipulation. You might just call it persuasion of the more political elements of the Miami community that this child had to stay in the United States. At any rate, yes, we had demonstrators coming from Miami, we had the ordinary curiosity-seekers who wanted to know who had seen this child. Of course, one of the things that made this case more interesting was that this was such a cute kid. The U.S. media loves to play around with symbols. I think if he hadn’t been as cute as Mickey Mouse the story wouldn’t have had the length that it had. Here was this cute six-year-old boy and the story simply wouldn’t go away, even though not very much happened in the period of time that they actually stayed with us. We had some demonstrations, lots of security, lots of curiosity-seekers, and lots of news media. I had daily contact with the family, Elian’s family, primarily his father, and stepmother. His father is just a lovely, dignified and honest person, and that comes across….He was sort of a cashier in a middle class, Cuban resort in Varadero Beach, which is a famous resort (Photo: Colin Braley, Reuters). In addition to the luxury hotel – into which Cuban citizens are not allowed – there are some day resorts for people coming out from Havana. Pesos are the currency used, and not U.S. dollars. They’re kind of water-sports parks, where families can come and have a little lunch and picnic on the beach. So he works as the kind of cashier, assistant cashier, in such and establishment, and continues, as far as I know, continues to this day to do this. He was very clear that all he really wanted was his son. We had, in our many, many lunches and dinners, sometimes including members of the interests section, and sometimes not, we had a lot of conversations about life, and raising children and goals for what we wanted out of our lives. I thought he was just a remarkable human being. He kept his cool throughout. At one point we had to change all the phone numbers because some of the far right elements in Miami had discovered the phone number in this house where they were and began to call and harass at moments of the day and night. So I think he stayed pretty cool and withstood this pressure and was very clear that he didn’t want anything out of it other than the right to raise his son as he wished to raise him. GUTIERREZ: I don’t know if the father had a government job or whether he was part of the system, but he quickly became very important to the Cuban regime. Fidel Castro sensed a great opportunity to embarrass the U.S. and, master propagandist that he is, he immediately made the return of Elián González Cuba’s number one foreign policy priority. I made the case that it would be a tremendous propaganda victory for Castro if we were to return Elián to Cuba. I pointed out that Elián’s father had been aware of the mother’s plan to leave the island; Elián’s relatives in Miami claimed that the father had planned to leave himself at a later date. But once Castro made the case Cuba’s number one priority, the father became the most revolutionary of revolutionaries and a symbol of the system, perhaps after government pressure or incentives to cooperate. The case pitted the Cuban American community on one side and Castro’s Cuba on the other. Many U.S. officials who advocated returning Elián were well meaning and thought the right thing to do was to return the child to his father. Some were swayed by Castro’s promise that if Elián were returned, Cuba would not exploit him for propaganda purposes and would allow him to lead a normal life. Not surprisingly, this did not happen. Since his return, the Cuban regime has exploited Elián to the maximum and he has become a symbol for the Cuban Revolution. Curiously, then-presidential candidate Al Gore did not favor returning Elián, but called on the Florida courts to decide the case. So the Elián case was one issue where I disagreed with the Department and U.S. policy. It could have been handled a lot differently. And it did not end well, with an INS [Immigration and Naturalization Service] SWAT team with bulletproof vests and automatic weapons storming the relatives’ house and forcibly seizing the child so we could accede to a dictator’s wishes. COWAL: At the same time that the Elian experience was going on, it was really opening up, in a way, a lot of Americans’ eyes to what was this Cuba thing all about? What was our Cuba policy all about? It was kind of a grassroots feeling. Suddenly this child opened eyes and minds, maybe in a way that other things hadn’t, because they weren’t the stuff of telenovelas, or soap operas, and Elian was the stuff of a soap opera. So you had this groundswell coming up from underneath. At the same time, just by coincidence, you had a Council on Foreign Relations Independent Task Force going on about U.S. policy toward Cuba. It presented a report which issued no sweeping finding on whether we should have an embargo or not, but did point out that many things in the U.S. policy toward Cuba were not really in the United States’ best national or economic interest. This was an independent task force of people from all political stripes, the Council on Foreign Relations, which remains probably the most prestigious of these kinds of organizations in the United States. So there was suddenly, from the top, a willingness or a recommendation that this policy be re-looked at in the terms of a new century and not a 50-year-old argument. From the bottom up was this whole hoopla about Elian. My organization, a youth exchange organization, had played a small role, but nonetheless a role. 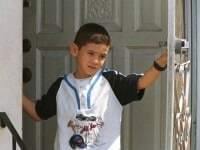 Elian went home when the Supreme Court decided it would not reverse the decision of the 11th Circuit Court that he was a six-year-old child and he belonged with his father. His father had the right to take him wherever he wanted to. That was immediately appealed to the Supreme Court, and then the Supreme Court refused to take the case, and so it was all over in a moment.